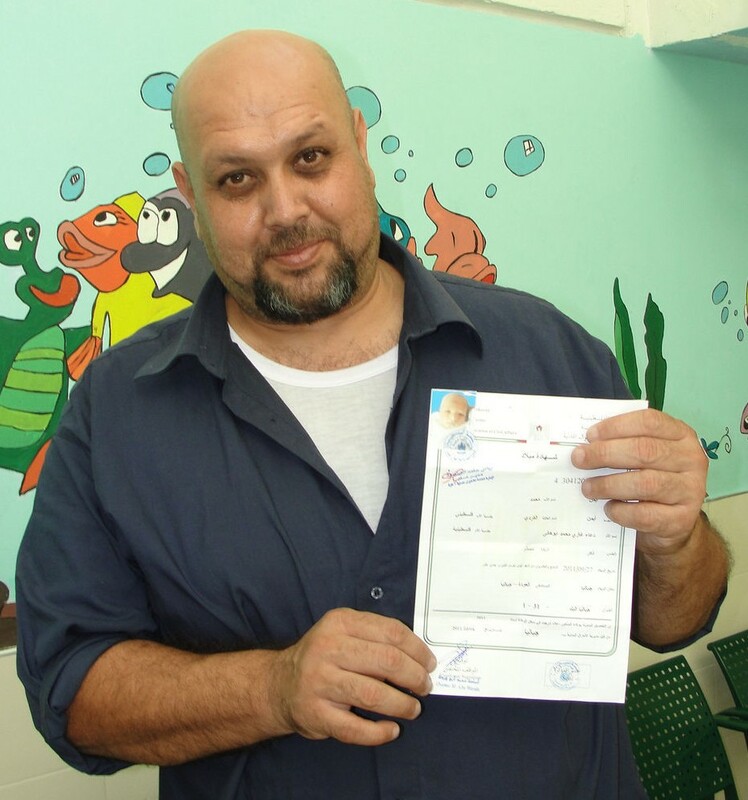 This big man I saw at the Wolfson Hospital today is Ayman Al Kurdi. He is a Kurdish gentleman from Iraq living in Gaza for five generations now. He has seven children, the youngest is in second grade and the oldest two are married. 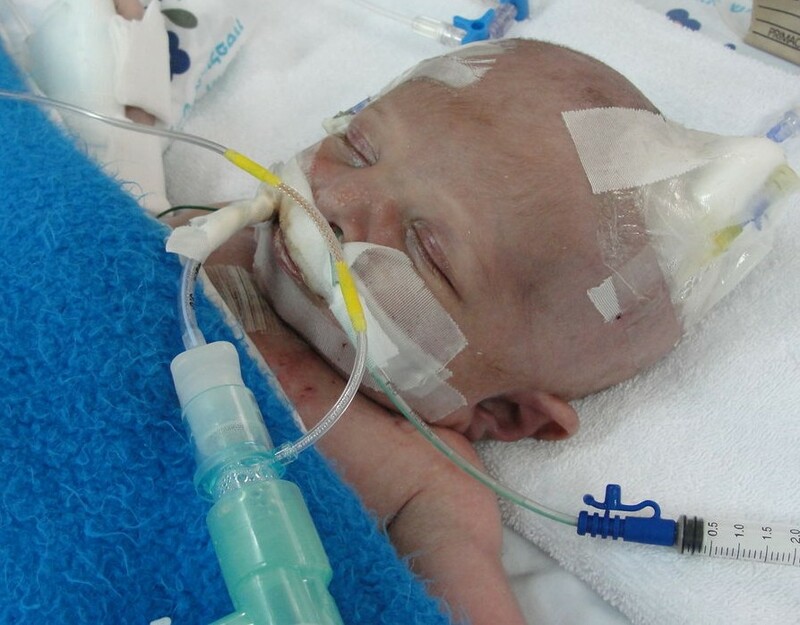 His first grandchild is a little boy who looks just like him and who is now hospitalized following heart surgery. He is so thankful for the help and care that Shevet Achim, Save a Child’s Heart, and the doctors have provided for his tiny grandson. What a wonderful asset Ayman was for us today. This man speaks Hebrew, Arabic, English and Kurdish – very well. One of the hospital personnel referred to him as “the professor” because of his language skills. As he stands watch over his grandson, he gratefully builds relationships with his language skills and it was such a beautiful thing to watch. He was a male support and guide to finding sleeping quarters for Bilal’s father. 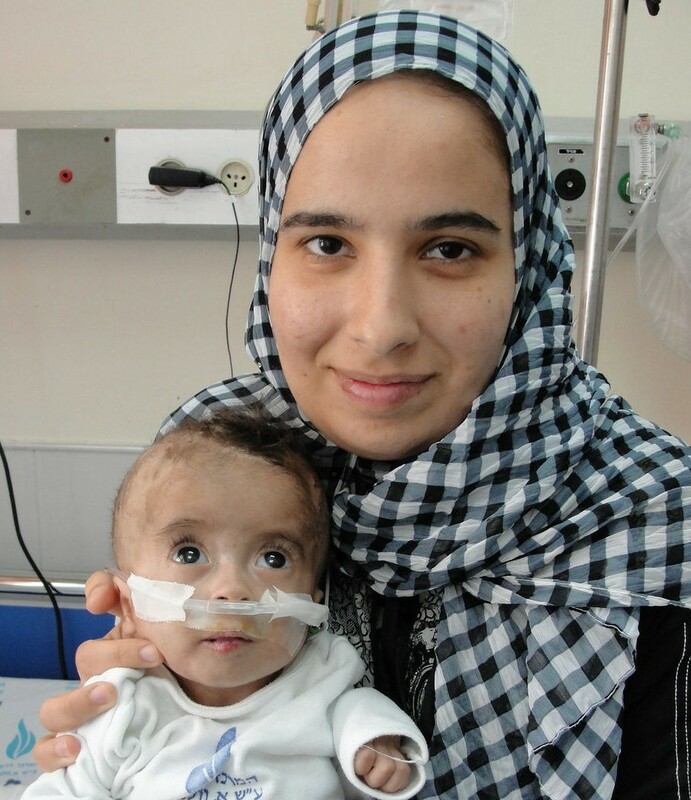 He also helped me understand the issue with another Gaza baby Rahaf (pictured below) who is in much need of prayer. She has another hole in her heart that could not initially be seen after her first surgery, and she has been wasting away as is her mother. We had a great conversation right in the ICU waiting room about how so many people in different parts of the world hear stories of others who live in different places or hold different beliefs and they form opinions based on what they heard. Soon it turns to hate and stereotype. We both agreed that is not God’s way. As Ayman sought to praise me for the “good” I was doing, I had the opportunity to briefly share some of my own pain that has taught me much compassion. We spoke of the value of learning to love others because we have been loved and healed. He was in agreement as I confided that I volunteer because God has put ME back together when I didn’t think life would ever be good again and I just want others to know He has a good life plan for them too. It is a privilege to stand with a parent during these very hard times in their lives, but it is more than that. As we write blogs and show pictures of people as they really are, Muslim and Arab men, loving their children and honoring and serving women, and Middle-Eastern women who are strong, loved, good mothers and happy wives–it changes the world we live in, even if only a little at a time.